Hey Everyone! I hope you are all getting this Mother’s Day weekend off to a great start. Don’t be like me and wait until the last minute to get a gift. Today I am thrilled to be guest posting over at Remodelaholic. 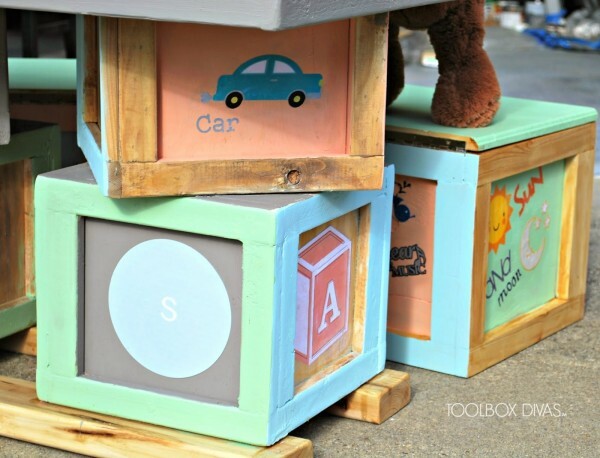 Create this play set (chalkboard table and matching seats) inspired by the wooden alphabet blocks I played with as a child. It’s sure to leave you and your children with same wonderful nostalgia.